If one depends too much on artificial lenses, it could be bothersome if he misplaces his eyeglasses. It could also be inconvenient to be caught in a situation when one no longer have sufficient amount of eye solution to put the contact lenses back on. At this point, you might start wondering if there is a permanent solution for your condition and if such solution is effective indeed. Perhaps you have started looking all over the place for a more reliable answer and stumbled upon LASIK surgery. LASIK stands for laser-assisted in-situ keratomileusis. It is one of the most widely performed vision correction surgeries. As the name explicitly suggests, it uses laser technology in its procedure. The operation aims to correct refractive errors, such as nearsightedness, farsightedness, astigmatism and presbyopia. These conditions often resulted from the irregular shape of the eye’s natural lenses- the cornea. Similar to how a camera works, the amount of light that enters the eyes is vital to the way we see images. If the light is not bent or refracted properly, images may appear blurry. If the cornea is too steep, its focusing power is lessened. This causes objects with relative distance to appear unclear. Meanwhile, if the light is not refracted due to the lack of curvature, it cannot focus objects in closer distances. This condition is known as farsightedness, which is caused by flat cornea. Astigmatism, on the other hand, can be due to an irregularly-shaped cornea that causes the light to get distorted and scatter. This could result to the lack of focus. Like all other refractive surgeries, LASIK works on the cornea to achieve its ideal shape. One of the primary reasons that keep the people from taking advantage of this operation is the cost associated with it. Depending on the procedure, the cost ranges from $200 to $4, 000. Some people contend that the price is too much to bear. While the cost seems expensive at first glance, the overall amount shelled out for the procedure is actually less compared to the expenses of sunglasses, contact lenses and contact-lens solutions in a lifetime. Besides, many insurance plans cover a portion of LASIK surgery. There are payment options and discounts, too. In the end, LASIK is a better choice with a tight budget if planned properly. Some are also concerned with the risks and complications arising from the operation. It cannot be helped that there are risks associated with the procedure. The good news is that it can be minimized. Over time, risks and complications have significantly waned down, thanks to the continuous enhancements of the procedure. Newer and better methods have been introduced to improve the processes. With the state-of-the-art equipment, more advanced technology and highly trained eye surgeons, the decrease of reported complications had been adversely proportional to the operation’s success rate. By and large, LASIK is the best choice for people with hyperopia, myopia, presbyopia and astigmatism. Notwithstanding, the physiological state, age, health condition and lifestyle of an individual can all influence the outcome of the procedure. Therefore, anyone who wishes to undergo the surgery must first determine if he is a good candidate or not. 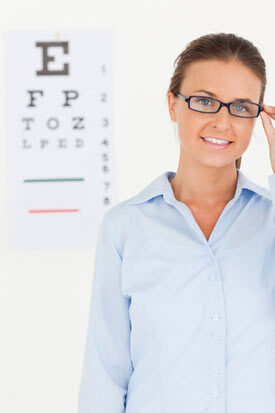 If you are experiencing vision problems, do not be too quick in making decisions. What worked for others may not have the same effect on you. Talk to an eye doctor for a preoperative consultation and submit yourself to a few examinations. Their findings and expertise will help you decide which method is the best for your condition. Furthermore, there are some preparations you have to follow prior to the actual surgery. For instance, the use of contact lenses should be discontinued for good six months before the operation for a steadier prescription. Your eye surgeon should discuss the details with you to get you ready. Once you have established that you are a good candidate for the operation, you have to keep in mind a few things to ensure a successful outcome. For starters, you must be in the pink of health. If your body experiences the inability to heal itself for some reasons, you have higher risks of unsatisfactory results. It could lengthen your recovery period and undermine the outcome of the operation. Contraindications to laser eye surgery include uncontrolled degenerative conditions as well as uninhibited autoimmune diseases. Age is another major factor to consider. The patient should be at least 18 years old, although it is advisable to wait for a couple more years for his cornea to fully mature. This is because the person’s vision changes as he ages. It reaches permanency upon adulthood, which is ideally after they reach twenty. Exceptions may be made with the parent’s or guardian’s permission, but the results could only be temporary. Hence, enhancement surgery may be required a few years down the line. There is no upper age limit, but vision changes are to be expected after 60 years old. Pregnant women and lactating mothers should delay the surgery, too. The hormonal changes can potentially alter the shape of the cornea, so the vision changes temporarily. It would take a few months following pregnancy for the hormones and vision to return to normal. Also, the medications used before and after the surgery could also be risky to the unborn or nursing baby. The track record of LASIK surgery is incredible. Patients and surgeons alike have been satisfied with its result. The promise of permanent solution that does not depend on some inconvenient artificial lenses is compelling. But of course, such crucial decision requires careful consideration. Do your assignment. Look into all aspects before you come up with a decision: weigh its benefits against its risks. Most importantly, look for a reliable eye doctor to increase your chances of a successful surgery.